In light of recent phishing attacks, IT would like to remind you how to keep your password safe and not be tricked by false login screens. To this effect, IT recently customized our Office 365 login page and today updated our central authentication service (CAS) login page. This is the page you encounter when logging into eLearn and a few other systems. 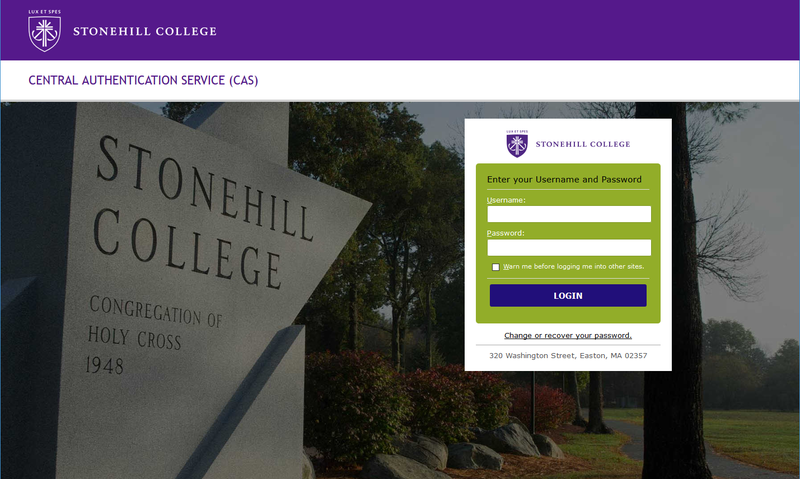 The new login page (pictured below) features the Stonehill College logo, our address, as well as a background photo of the angled stone sign at our Route 138 entrance to the campus. We hope this new, unique page will help members of the community identify legitimate places to enter a username and password to access Stonehill web resources. For more on how to identify potential phishing attempts, check out our web page on Phishing Awareness.